The Fisher-Price Rock ‘N Play infant sleeper has prompted a warning on April 5 by the Consumer Product Safety Commission and the manufacturer due to reports of death when infants roll over in the product. A pediatricians group is urging an immediate recall. Update, Saturday, 12:15 p.m.: Fisher-Price, on Friday night, announced a recall of about five million of its Rock ‘n Play sleepers, an action that was urged by child safety experts. More info here. An organization representing 67,000 pediatricians is urging an immediate recall of what it called a "deadly" infant sleeper manufactured by Fisher-Price. The American Academy of Pediatrics is asking the U.S. Consumer Product Safety Commission to recall the Rock 'n Play Sleeper, which has been tied to 32 sleep-related deaths, according to a Consumer Reports analysis. Parents should refrain from using the sleeper product and stores should no longer be selling the product, the doctors group said in a Tuesday news release. An April 5 warning by CSPC and Fisher-Price wasn't strong enough to ensure infant safety, it said. The consumer alert issued last week advised consumers to cease use of the sleeper when a baby reaches three months of age or is capable of rolling over. It cited 10 deaths that occurred in the Rock ‘n Play. According to Consumer Reports, however, 32 deaths have been tied to the Rock ‘n Play, including the 10 noted in last week’s warning. The death toll includes babies even younger than the 3-month threshold cited in the initial warning, Consumer Reports reported. We continue to stand by the safety of the Rock ‘n Play Sleeper, as it meets all applicable safety standards, including those of the international standards organization, known as ASTM International, and is certified by the Juvenile Products Manufacturing Association (JPMA). Since the alert, we are also aware of an article by Consumer Reports regarding the safety of inclined sleeping. 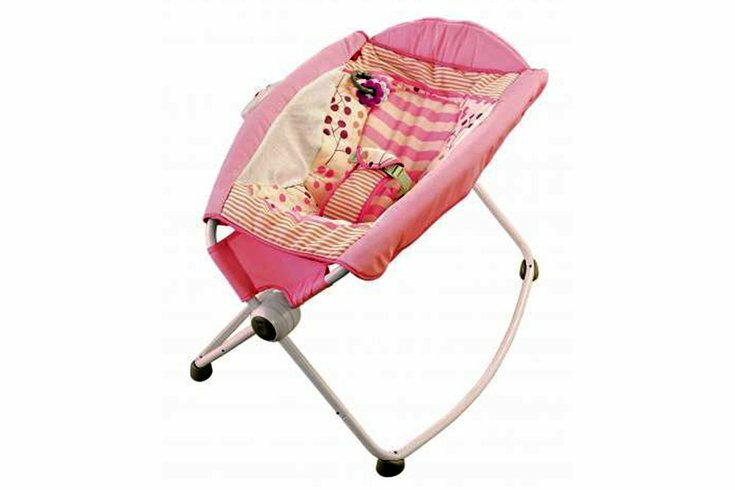 We continue to work closely with the Consumer Product Safety Commission regarding the safe use of our products, including the Rock ‘n Play Sleeper. It is essential that the product warnings and instructions are always followed. We will continue to do all we can to ensure that parents and caregivers have the information necessary to create a safe sleep environment for infants. That is why we also provide guidance about how to use our products on the front of the product packaging, in the product instructions, and on our website. The AAP said it does not recommend any inclined sleep products that require restraining a baby and advises parents not to use car seats, strollers or other devices for sleep due to a risk of suffocation or strangulation. The American Academy of Pediatrics is an organization of 67,000 primary care pediatricians, pediatric medical subspecialists and pediatric surgical specialists dedicated to the health, safety and well-being of infants, children, adolescents and young adults. It offers more information on safe sleep recommendations here.